Simplify Your Life for Success! Do you clutch the burdens of the past and regrets in your life instead of releasing them? How would you like to participate in a fun journey toward releasing a ton of mental clutter and BE UNSTOPPABLE toward following your dreams? Imagine having a newfound sense of clarity, fulfillment, and joy during the season. The best part is that it’s FREE. 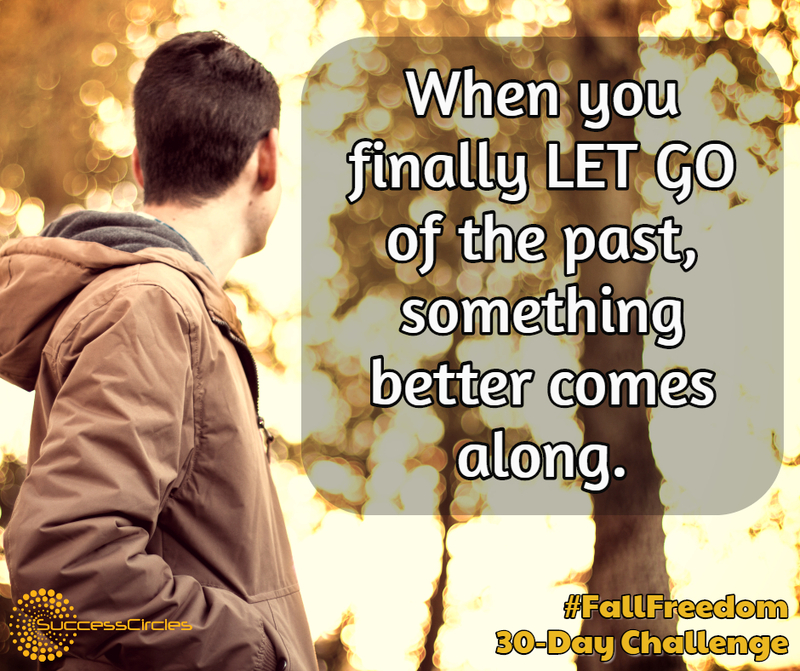 The Fall Freedom 30-Day Challenge is a FREE opportunity for you to let go of what no longer serves you and embrace a newfound sense of freedom, clarity, and joy beginning on December 1. They say that most every person has somewhere in the range of 50,000 to 60,000 thoughts per day. Amazingly, 95% are the same thoughts repeated every day. On average, 80% of those habitual thoughts are negative. Many of these habitual thoughts create vicious cycles in our mind. They keep us in inaction instead of being “in action” working toward realizing our goals and dreams. This is why we practice “releasing”. There are many things that we need to release both physically and emotionally in order to experience true freedom from our thoughts. Releasing can be fun and easy with the right support system. It’s simple! Join the 30-Day challenge and participate every day with other inspired individuals in our Fall Freedom community. It could be as simple as investing 5 minutes a day tossing something out that no longer serves, changing a light bulb, or finally replying to a 2-month-old email in your inbox. Spend a few minutes daily to log into our app and share what you have released to receive validation. Simplicity rules! The Fall Freedom Challenge is based on the powerful momentum principles of SuccessCircles which have empowered hundreds to live courageously each day and reach their dreams over the past 10 years. We’ve inspired our members to release over 90 tons of baggage. While engaging in the momentum with our fun and vibrant community, you will find that your momentum creates momentum. Imagine having a newfound sense of clarity, fulfillment, and joy during the upcoming holiday season. Join us now! We’re currently just taking 30 members into the Fall Freedom program to protect the intimacy of our friendly community. The best part is that it’s FREE.